Occasionally, gravestones and monuments give clues about the deceased that are subtle—and those clues can take different forms. 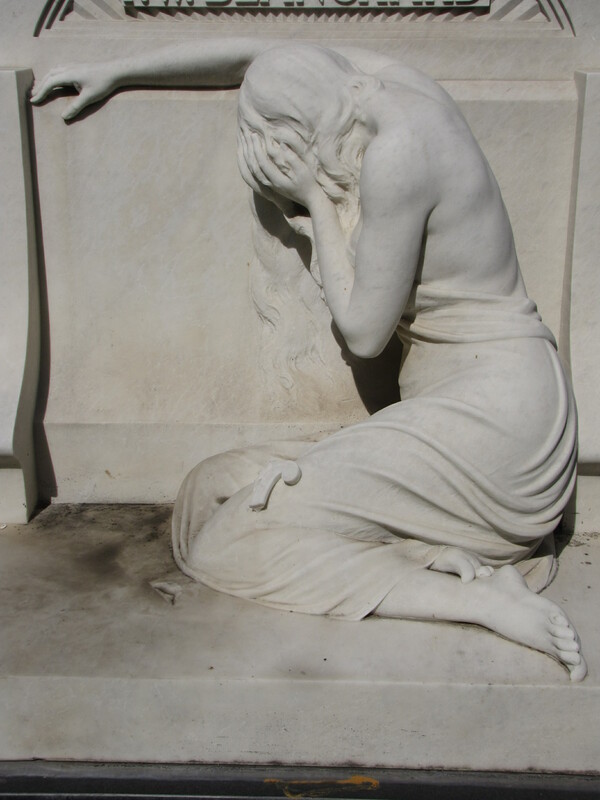 In the F. W. Blanchard monument, for instance, there is a clue to what was a big part of Blanchard’s life and legacy resting on the lap of the mourning figure. 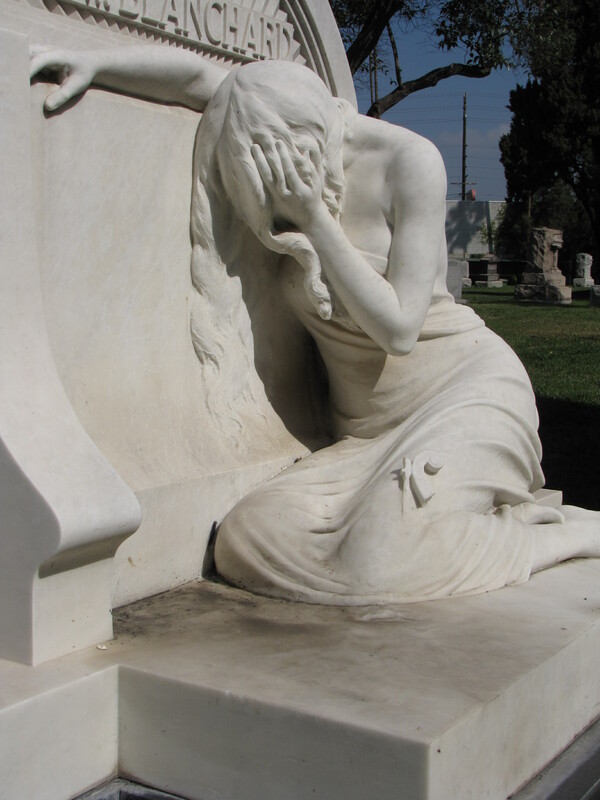 The scroll of a violin rests on the mourning figure’s lap, seemingly out of place, that is until more is known about Frederick W. Blanchard, the first president of the Hollywood Bowl. Blanchard was born in West Millbury, Massachusetts, the son of a prominent business man. He made his way to Denver where he worked in and later opened his own music store, which flourished. He sold his interest in the business and kept moving west—to Los Angeles, where he established a music firm that promoted musicians. Blanchard became influential in the art and music world of his adopted city of Los Angeles, always at the center. Frederick Blanchard’s reach and influence in the city of Los Angeles, especially the art community, was far and wide. The tiny violin scroll, which goes almost unnoticed on his monument, is a nod to his interests and influence in music and the arts. It wasn’t a violin scroll. It was a small harp. The rest of it was broken off. There’s a small indentation where the rest of the harp was resting on the foundation near her left knee.